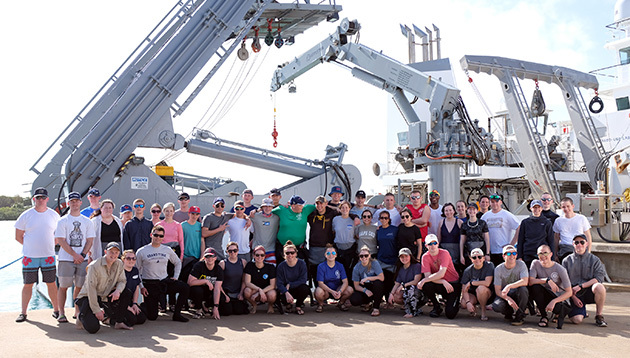 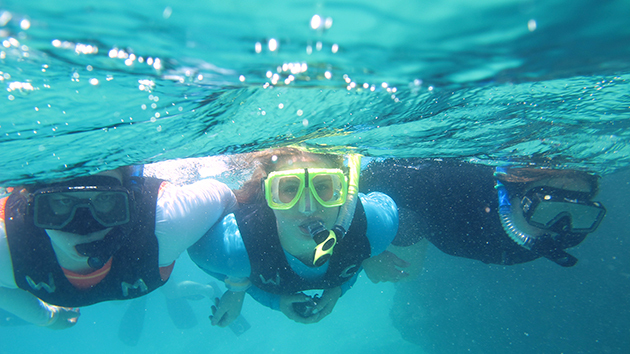 BIOS hosts students from Massachusetts Maritime Academy for a week's worth of activities exploring Bermuda's marine adn coastal environments. 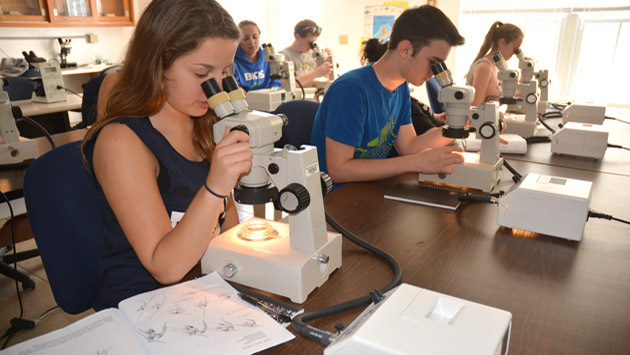 Students from the Har-Bur Middle School in Connecticut look at recently collected plankton in the lab. 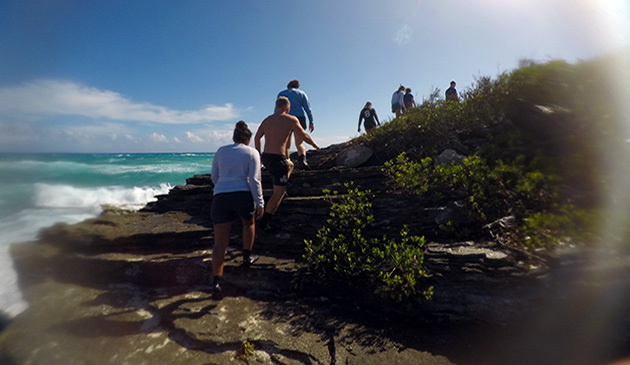 Exploring island ecology and geology at Spittal Pond. 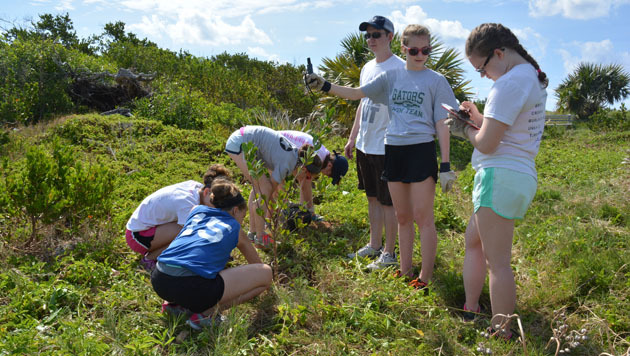 A group of students participate in tree planting and a beach clean-up as a part of BIOS’s partnership with the Bermuda Marine Debris Taskforce at Copoper's Island Nature Reserve. 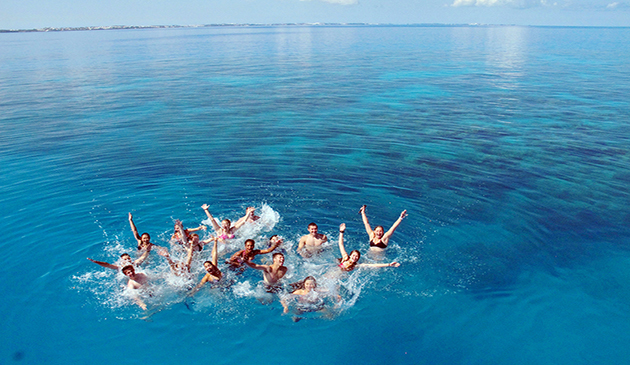 Every year, more than 30 groups of school children, high school students, college-level students and lifelong learners visit BIOS to take advantage of the research and education opportunities, as well as the beautiful location and dedicated classroom and lecture hall facilities.